The Fijian Electoral Commission has welcomed the initiative by the Fijian Elections Office to conduct voter registration continuously. And Commission Chairperson, Chen Bunn Young is inviting all eligible Fijians to take advantage of this opportunity to register to vote. Young says it’s important to continue to update the Voter Roll and ensure that registration is accessible to any Fijian as it is a voluntary process. The European Union Observer Report on the 2006 General Election [EU Report] had recommended for Fiji to maintain a current National Roll through the institution of a permanent and public voter’s database to improve the quality of the electoral roll. The implementation of the Electronic Voter Registration system has made it now possible. Notably, for the 2006 General Elections the EU Report had also found that the Register of Voters was not updated annually for the preceding five years. 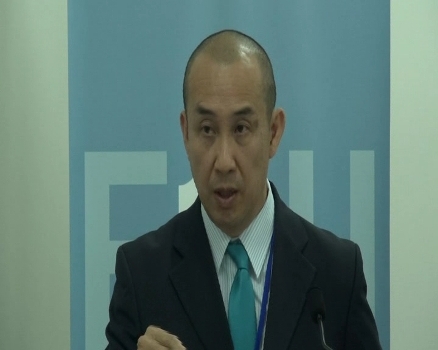 The Multinational Observer Group Report on the 2014 General Election also recognized that the continuous updating of the Roll was good practice and recommended the FEO to continue to maintain the system. The FEO is now an established institution that will continue to operate in between elections and Voter Registration will be one of its primary responsibilities. Young says the Electoral Commission and the FEO remain committed to ensuring the integrity of the Voter Roll is maintained to the highest standards. The 2015 – Phase 1 of voter registration is scheduled to begin in July and the FEO will be conducting registrations mostly targeting schools to capture Fijians who have just turned 18.